Japanese student wearing a shearling jacket, leather harness, printed newsboy cap, and wide-leg pants in Harajuku. Japanese student wearing a trendy take on female streetwear with a snakeskin print jacket, midi skirt, and platform boots. 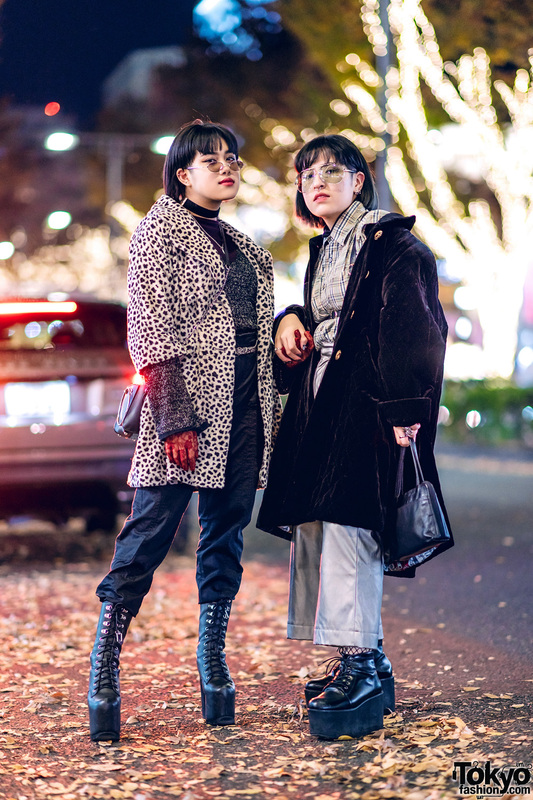 Tokyo girls sporting sleek and chic streetwear styles while out and about on the street. 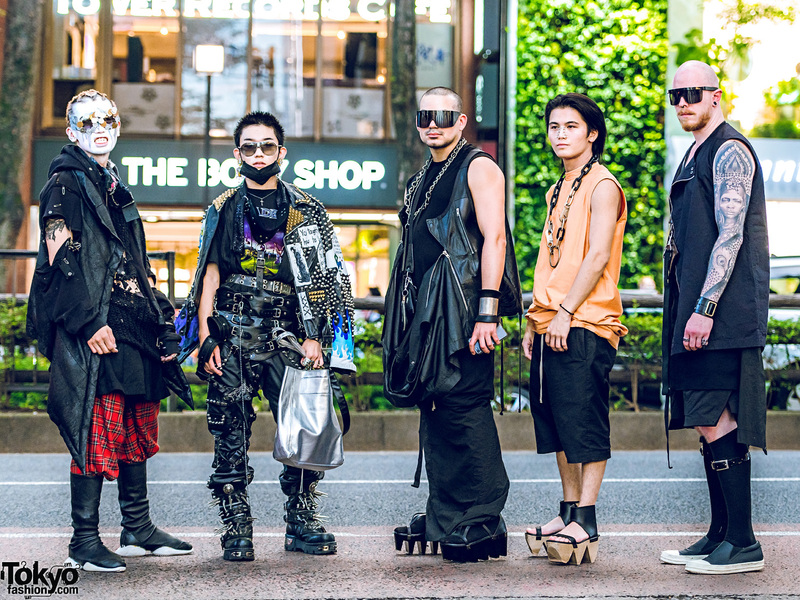 Group of five guys on the Harajuku street with impressive streetwear styles while out and about. Japanese model in twin buns wearing a mandarin collar dress, leather harness, fishnet socks and platform boots. Harajuku trio sporting mixed streetwear styles while out and about on the street one busy afternoon. Japanese artist on the street in Harajuku wearing a sheer dress with heels, studded headphones, bottle cap safety belt, leather harness as belt, and grommet bucket bag.